With a deep knowledge of Ashtanga Yoga, Dani is a direct student of Ashtanga Yoga Guru Sri K. Pattabhi Jois, and more recently his grandson Sharath Jois, and has travelled regularly to Mysore, India, since 2001. Dani has their official authorisation as a Level II Ashtanga teacher. Dani has practiced yoga since 1996 and taught since 2000. “I discovered yoga after the birth of my first son in 1996. I practiced Hatha and Iyengar Yoga until 1998, when I went to my first Ashtanga Yoga workshop. It was ‘love at first sweat’, and since then I has been committed to daily practice. “Even though it is a dynamic practice, it can be made accessible to many levels of physical ability. To learn how to adapt the practice to students’ needs, I have extended my studies to include Iyengar, Yoga-Synergy, Vinyasa and Hatha Yoga, and hold certification from the International Yoga Teachers Association and Australian Ashtangi Matthew Sweeney. 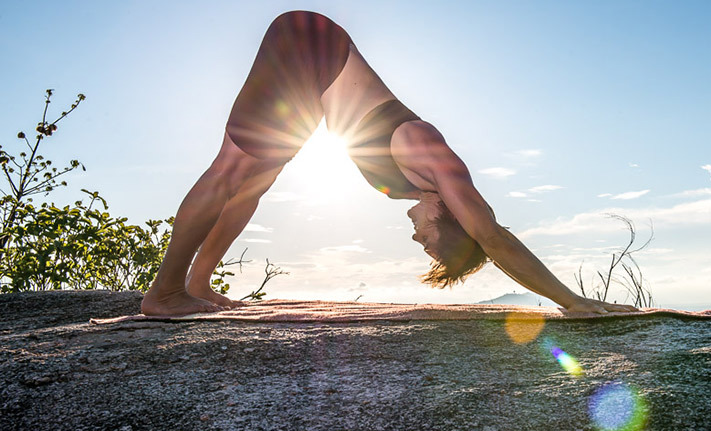 “I feel the strong physical practice of Ashtanga Yoga has the potential to open the heart and calm the mind, enhancing self-awareness and overall wellbeing.